Even if something gets a lot of notice, the news cycle is hardly longer than Now, and the sense of having done something quickly disappears. My birthday was the other day, and mostly what I did on twitter was be wistful for RSS and gosh-darnit RSS is awesome. It’s how I found everything in here. In 2013 Jeremy Keith wrote Battle for the Planet of the APIs and it’s still apt. I'm telling you man, RSS. Wave of the future. You know what was really great? The blogosphere. That was really great. Oh, and you should listen to Bruce Sterling at SXSW, as usual (this year is 2018!). Apple Watch Adoption — it looks like adoption of new versions is pretty darn fast. Impressive. 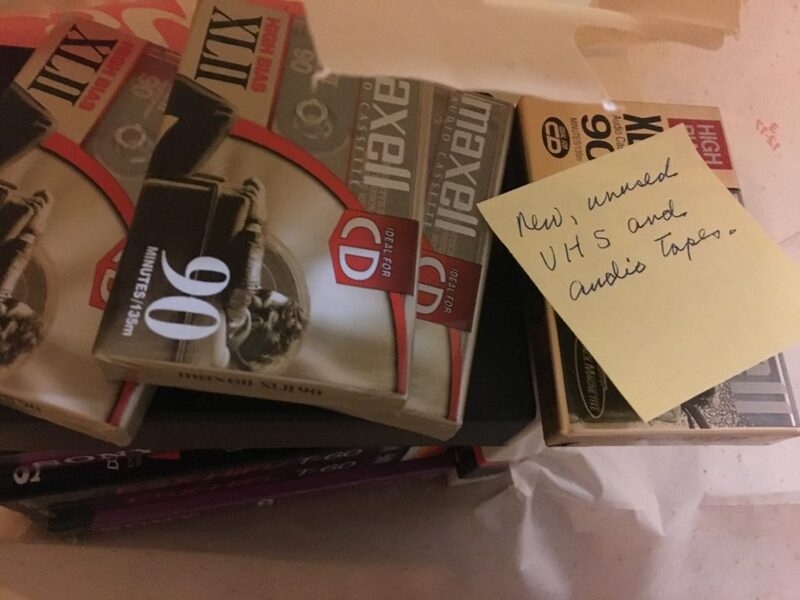 I did laundry the other day and there were free VHS and audio cassettes in the apartment laundry room. I forget what year it is, but this seems late. Joe Crawford blogged this at 10:54pm in 2018 in March. The 22nd was a Thursday. You are reading this 1 year later. Comment. There are no comments Tweet. Send email. It has hashtags→ advertising apple Bruce Sterling misc rss webdev .